Hello! 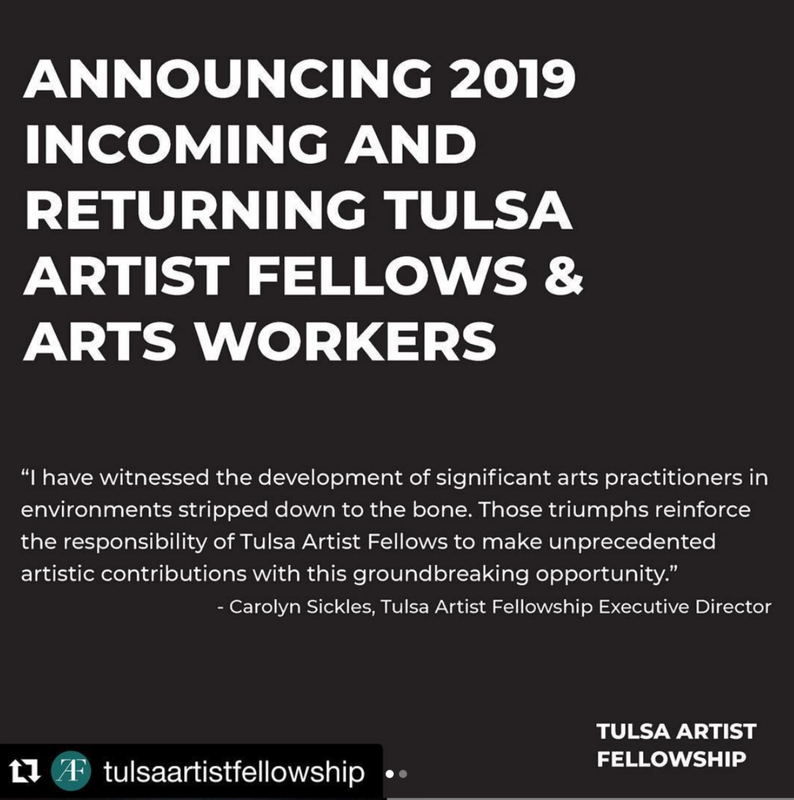 I was recently selected for the Tulsa Artist Fellowship! 2019 is going to be fun. Here are a couple snapshots from the On Freedom exhibition and reception at the Aperture Foundation in NYC. Thrilled to be part of the show. Check out the exhibition if you are in NYC this summer. I'm thrilled to be included in the upcoming On Freedom exhibition at the Aperture Gallery in New York. My photograph was selected by Hank Willis Thomas, Eric Gottesman, and Wyatt Gallery of For Freedoms. The show runs July 14-August 17 with a reception on July 13. I plan on being at the event so come say hello if you can make it. My new project called Syndicated was recently featured by Topic Stories of First Look Media. Follow the link below for more information and to see the photographs. There are also several more pictures for Syndicated on my website. One of my photos was used in a TIME Magazine article called Why the Doctor Only Takes Cash. The article was written by Haley Sweetland Edwards and is available in the February 6th issue. Thanks to my awesome student Chuyi Wen for assisting during the shoot! Happy Holidays! Photographs from my project Young Blood were featured on C 41 Magazine's website today. C 41 is an Italian publication that focuses on contemporary photography. There are some new and unseen photographs included in the feature along with a handful of mainstays. Young Blood was recently featured in Vision Magazine. I have an eight page spread along with Doug DuBois and Lena Mucha in an article called When We Are Young. Vision is a Beijing based magazine that focuses on art, fashion, and culture. It is in the Sept/Oct issue for 2016. Happy to say that one of my pictures was selected for the Royal Photographic Society's International Print Competition. The print will be part of their traveling United Kingdom exhibitions during 2016 and 2017. The events will be held at a couple venues in London this fall as well as the Belfast and Retina (Edinburgh) Photography Festivals. I'm showing a portrait from my Young Blood project based in Michigan. Visit the RPS site for more info. I just heard that I received 2nd Place in an exhibition called Real American at the Ann Arbor Art Center. The show was juried by Peter Baker. The winning photograph shown below is from my recent project called Rumbleville: Tulsa, OK. Real American will be on display at the gallery in Ann Arbor until August 13. Check it out if you have a chance. Here is a link to the event. I was recently selected for FotoFilmic 16. I'll have a photograph included in the traveling exhibitions that will visit Los Angeles, Melbourne, and Vancouver in 2016 and 2017. The jurors for this event included Todd Hido, Internationally recognized artist and educator; Karen McQuaid, Curator at the Photographers' Gallery in London; Barrie Mowatt, President of the Vancouver Biennale; Heidi Romano, Director of Photobook Melbourne; Heather Snider, Executive Director of SF Camerawork in San Francisco. My student Shelby Poor will be headed off to graduate school next year. She fortunately had multiple excellent options that included Columbia College Chicago, University of Missouri, Washington State, and CalArts. She's decided to go to CalArts in Los Angeles for her MFA. Congrats, Shelby! Here's a picture of her after she won the Outstanding Senior Award. Chuyi Wen also won Best in Show in the juried student competition. The juror was Donna Davies from SOFA. She exhibited several excellent photographs of train riders in China. I just gave a lecture at the Society for Photographic Education regional conference at the Oklahoma City Museum of Art. I discussed the cultural and artistic legends from Tulsa that include Larry Clark, Gaylord Herron, and S. E. Hinton. I also showed images from my new and ongoing project called Rumbleville: Tulsa, OK. I have a piece currently on display in Athens, Greece. My photograph taken in the Los Angeles area is on display at the Blank Wall Gallery.